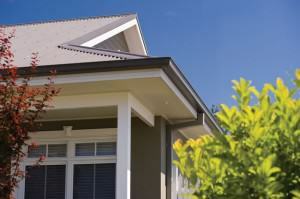 Maitland Roofing has high levels of experience in New South Wales’ roofing industry. We have been providing the most reliable roofing solutions for over three decades now, and we continue to offer unmatched workmanship courtesy of our well trained, licensed, and insured roofers. With Maitland Roofing, you can rest assured and feel confident that your property is in the best hands. Whatever the season, your roof keeps you, your loved ones, and your property safe from the elements and other potential threats. Because of this, its value can never be underestimated. At Maitland Roofing, we help protect the people and the things that matter to you the most by offering top-notch roofing solutions you can trust. We serve Newcastle, Central Coast, the Hunter Valley, Port Stephens, Woy Woy, and surrounding areas. Our range of services covers all your roofing requirements, such as roof restoration, roof cleaning, painting, sealing, and many more. We carry out reroofing and install Ace gutter guards, leaf guard screeners, and whirlybirds. Our COLORBOND® metal roofing comes in an expansive array of colours that will definitely meet your unique demands. Additionally, we use the highest quality products for all the types of roof repairs we offer, such as re-pointing, re-beds, and re-sarking, among others. We will give you all our services at competitive prices that will not burn your wallet. If you need high-quality roofing solutions provided by experienced and trained roofers, do not hesitate to give us at Maitland Roofing a visit or a call.